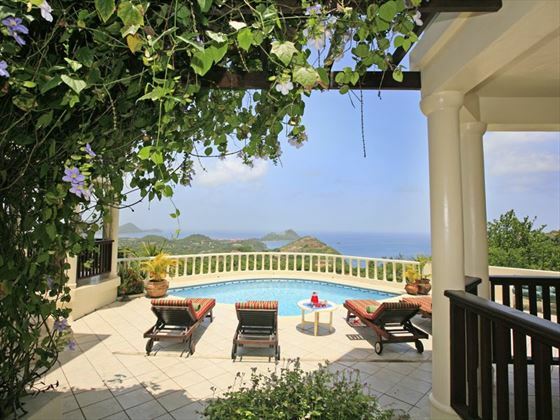 Residence du Cap is an elegant villa nestled in the hills of Cap Estate, offering breath-taking views over the Caribbean Sea with the magnificent Pitons in the far distance. 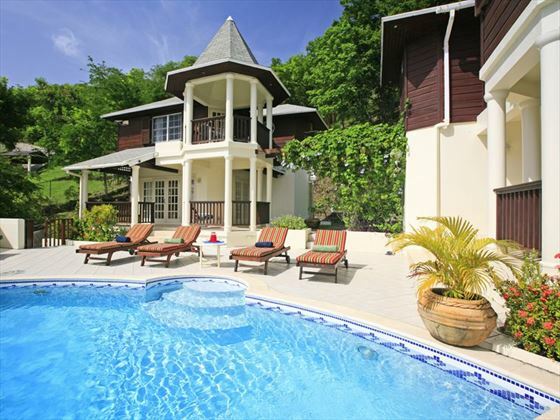 Within a short drive, you will discover several beautiful beaches and a good selection of restaurants, bars and shops, plus activities such as golf and tennis. 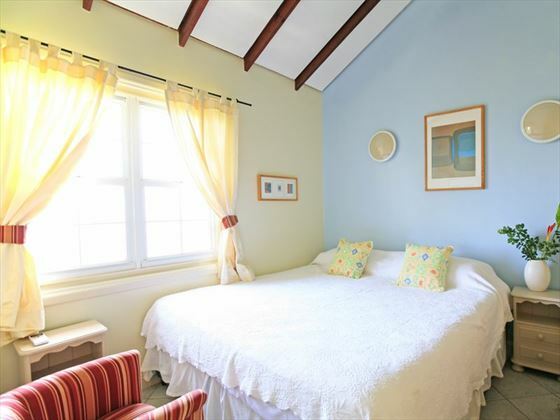 There are three ensuite bedrooms within the villa, and an additional ensuite bedroom in the little cottage within the grounds, making this a perfect choice if you’re bringing extra family or friends. 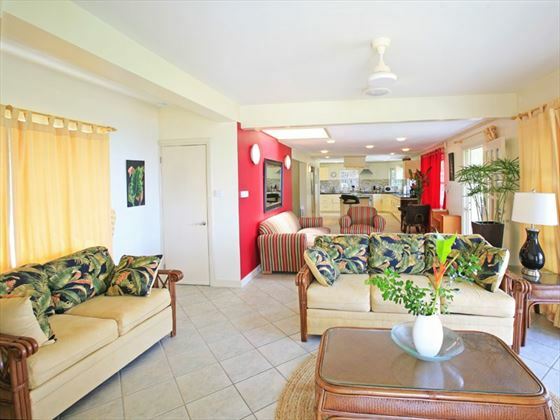 The cool living area flows on to the dining area and open plan kitchen. 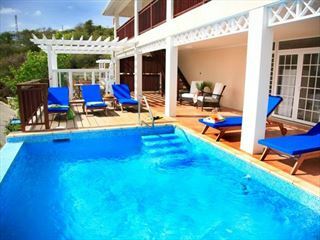 And with housekeeping and cook service included in the price, you’ll be spending most of your time relaxing on the lovely pool terrace admiring the view. 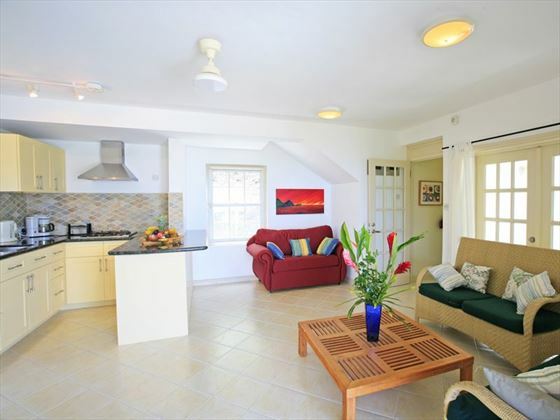 Top Tip: Your housekeeper at Residence du Cap is Luciana who has a wonderful repertoire of local recipes – try some of these out for lunch or dinner. 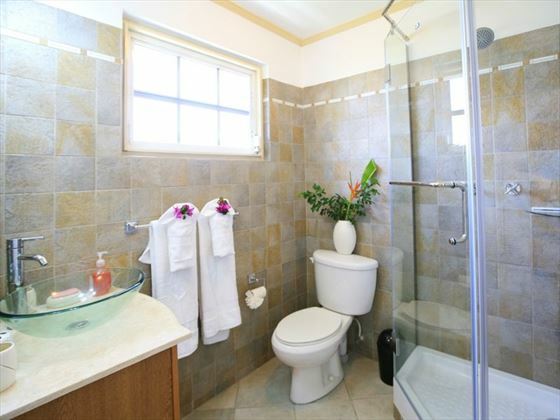 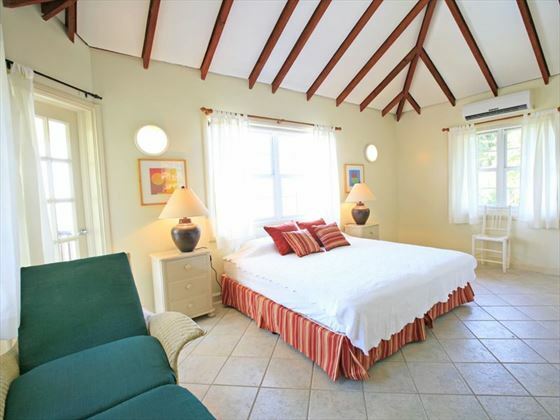 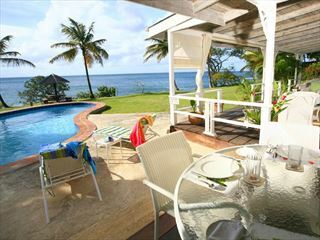 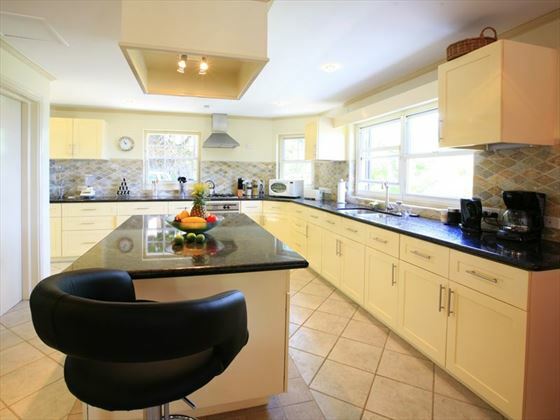 The villa is located on the north western tip of the island, a 10 minute drive from Rodney Bay. 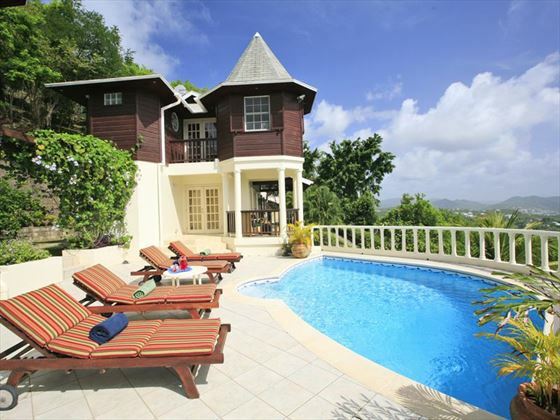 Nestled in a beautiful hillside setting on Cap Estate, overlooking the golf course and the Caribbean sea, you'll only be a short drive from beaches, shops, restaurants. 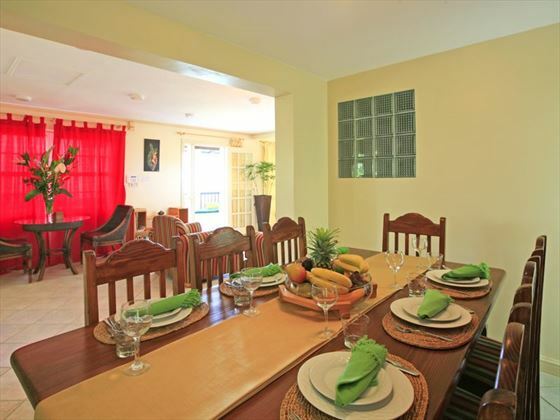 Two storey villa with three bedrooms and adjacent cottage with one bedroom, sleeping a maximum of eight people. 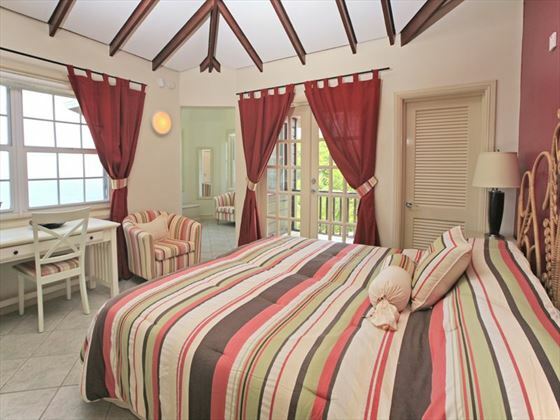 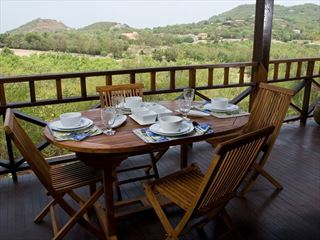 Residence du Cap can also be booked as a two bedroom villa.